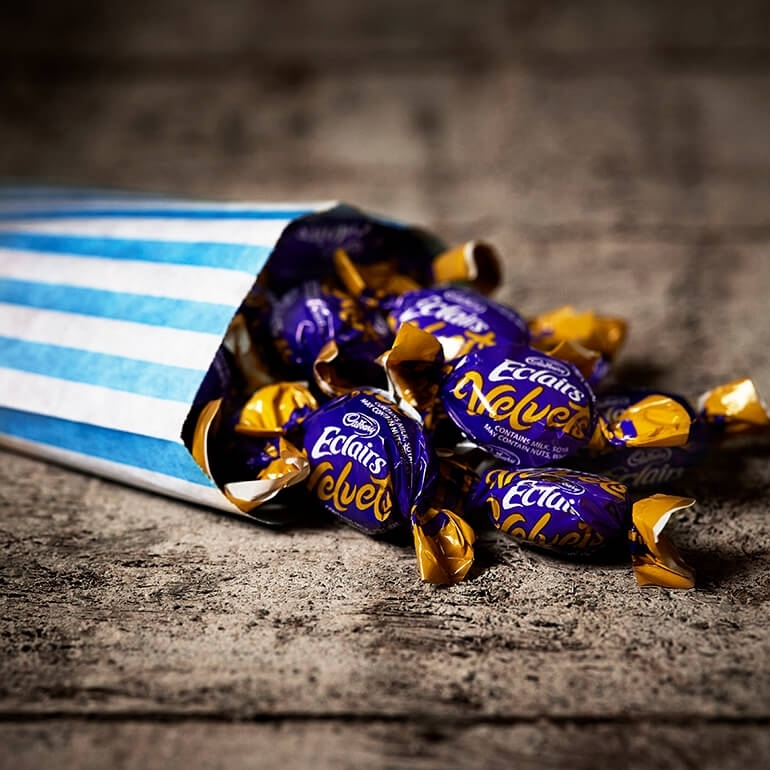 The world’s most popular eclair; an intoxicating combination of chewy toffee exterior and a rich Cadburys chocolate centre means satisfaction every time. Cadbury Chocolate Eclairs comprise a relentlessly chewy toffee sweet, with a smooth chocolate centre. Chocolate Eclairs are obviously designed for grandparents, but kids and grownups of all ages love them too. The Chocolate Eclairs brought back memories of England. Love Love them!